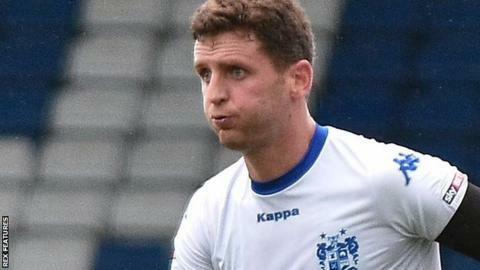 Wigan Athletic have signed defender Alex Bruce on a deal until the end of the season and Aston Villa goalkeeper Matija Sarkic on loan until January. Bruce started the season playing for Bury on non-contract terms and scored for the Shakers against the Latics earlier this month. The 32-year-old centre-back made two appearances for Wigan on loan towards the end of last season. Sarkic, 19, is a Montenegro Under-23 international.